Planetary popular thrash metal band Megadeth served as a source of inspiration for a video slot developed and released by the Argentinean software provider Leander Games. Members of the band populate the reels of this high-quality game, done with outstanding graphics and animations accompanied by the sounds of Megadeth’s music playing in the background. 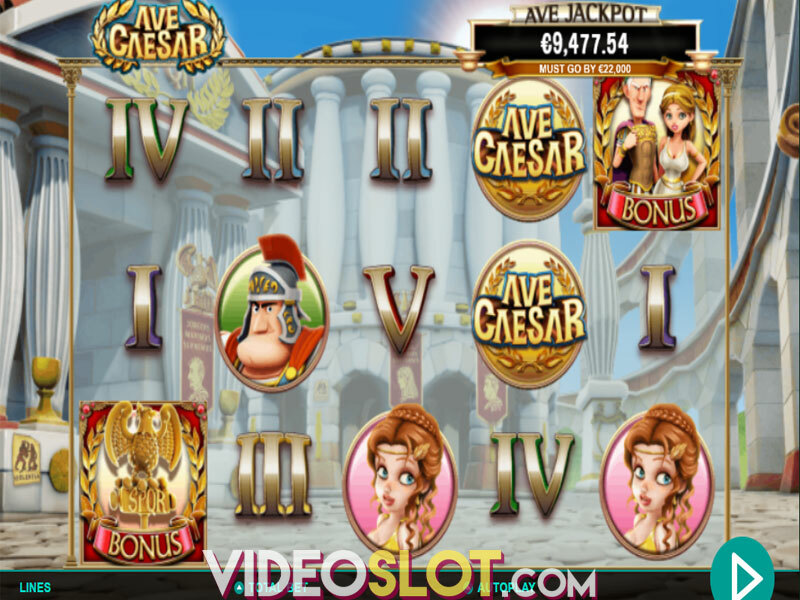 Benefit from a Free Spins game and a Pick Me round while enjoying this exciting slot. 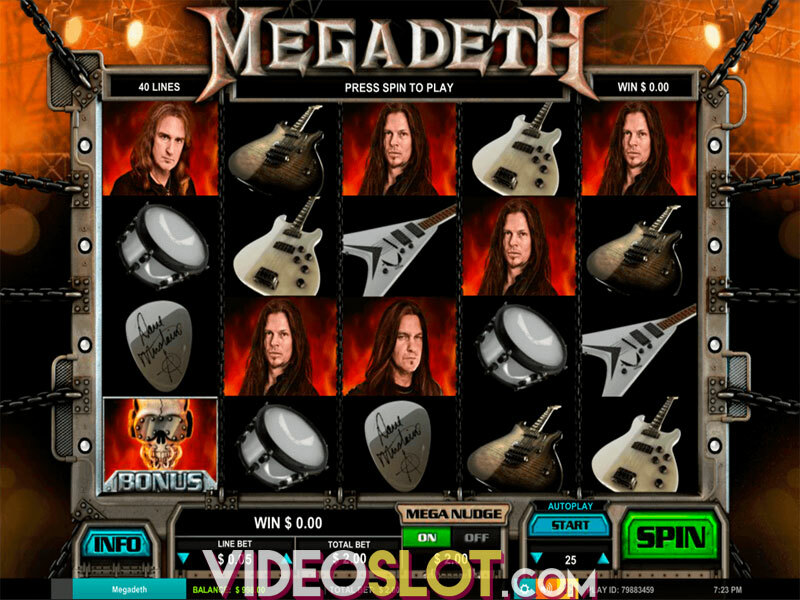 Megadeth is a video slot using a 5x4 layout and offering 40 fixed paylines with an RTP of 96.99%. Icons will deliver payouts when appearing on a payline left to right. To adjust the coin denomination, use up and down arrows. Once you’ve chosen the coin size from $0.01 to $10, you will be able to wager from as low as $0.40 and as high as $400 per spin. This will suit both those who like to bet small and those who are high-rollers. If you want to sit back and take it all in, turn on Autoplay with a predetermined number of automatic spins. 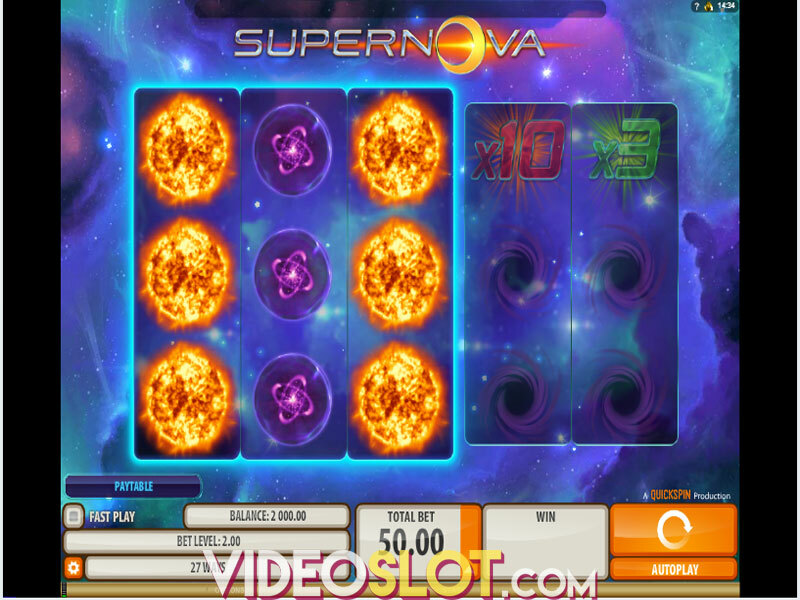 To make the best of the game, activate the Mega Nudge feature which will double the cost of the spin, but the reels 2 and 4 will be nudged up or down for extra wins. Look out for the band’s frontman Dave Mustaine who represents Wild substituting all other symbols but Bonus to make the best possible winning combos. Wild doesn’t award wins, but hits the reels and expands to increase chances of wins additionally. High-value symbols include other members of the band who deliver payouts from 150 to 300 coins. The Megadeth logo is the most profitable icon awarding 500 coins. Low-paying symbols are depicted with Picks, Amplifiers, Drums and Guitars that will grant you between 50 and 100 coins. The Bonus symbol represented by a Scull lands on the reels 1, 3 and 5 to trigger the Multigame and Multilevel Bonus. Before the feature starts, you will have a chance to have a go at the Mega Wheel which will award the Hangar 18 free spins, the Head Crusher Bonus or an instant coin prize. If you receive the Hangar 18 game awarding 15 free spins, Wild will replace all other symbols and whenever it appears, it remains on the reels until the feature ends. In the Head Crusher round, you will be offered to pick among prisoners and receive prizes as long as you choose female ones who increase wins. Select a male prisoner and your payouts will be decreased. Expanding Mustaine Wild and two different Bonus games, as well as the Mega Nudge Mode will keep things interesting. The theoretical Return to Player which stands at 96.99% and a top payout of 200,000 coins do additionally spice things up and provide an enjoyable playing experience.